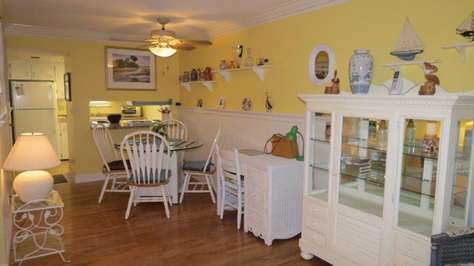 Beautiful one bedroom, one bath condo in very desirable traffic free Ormond Beach. Tastefully decorated in beach theme with soft pastel colors, accented with oak hardwood flooring crown molding and waynes coating. The corner second floor unit has a view of pool, ocean and beach from the private balcony. Bedroom is equipped with linens to accommodate one king bed. Living room offers additional sleeping arrangements with sofabed. Bathrooms are equipped with an adequate supply of towels. This unit is equipped with WIFI. Beautifully landscaped and brick walkway surrounds the condominium complex which leads right to the beach. Swim in the resort style, solar heated pool settled in the courtyard of the complex. Stroll miles of wide Atlantic beaches, build sandcastles, fish or just relax on your patio. Enjoy the beautiful sunrise views from this unit's patio. Convenient elevator access to upper floors. Minutes away to shopping and restaurants. Enjoy the sun, sand, great restaurants, local history, premiere area golf courses. Coin Operated Laundry in Common Area. Special amenties included with this unit include, two bicycles, new beach fishing rod, binoculars, two beach chairs and umbrellas. 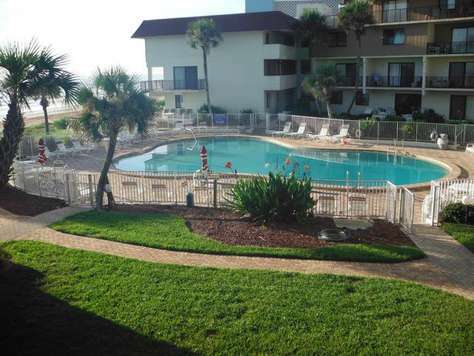 Beautiful one bedroom, one bath condo in very desirable traffic free Ormond Beach. The corner second floor unit has a view of pool, ocean and beach from the private balcony. Bedroom is equipped with linens to accommodate one king bed. Bathrooms are equipped with an adequate supply of towels. Beautifully landscaped and brick walkway surrounds the condominium complex which leads right to the beach. Swim in the resort style, solar heated pool settled in the courtyard of the complex. Stroll miles of wide Atlantic beaches, build sandcastles, fish or just relax on your patio. Enjoy the beautiful sunrise views from this unit's patio. Convenient elevator access to upper floors. Minutes away to shopping and restaurants. Enjoy the sun, sand, great restaurants, local history, premiere area golf courses. Coin Operated Laundry in Common Area. This unit is equipped with wireless internet. 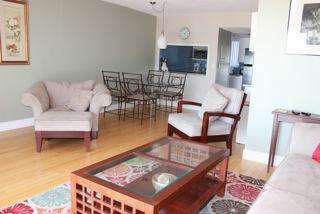 Immaculate, beautifully decorated condo. Kitchen has newer appliances and is well stocked. High speed internet.